"I like my stripes like I like my shirts: smart. These pure cotton numbers are lightweight and cool, which makes looking smart in the Summer even easier. " 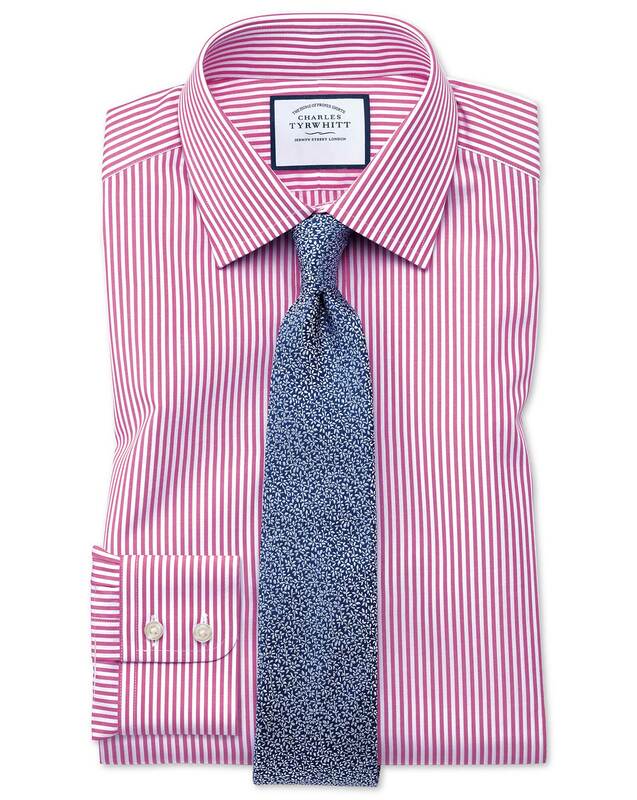 Response from Charles Tyrwhitt: I am sorry to hear that your recent shirts were not quite suited to you, we do offer a sizing and measurement guide online to help indicate how each item should fit. Reducing the collar size for your shirt will also reduce the measurements throughout, and perhaps our newer Super Slim shirts would be a better fit for you. Please do let us know should you wish to place an exchange order for this fit! Affordable shirts that look great.